A Blog about Baseball in the 1960's. From the trivial to the trades to the major moments which made major league baseball in the 1960's so fascinating, this blog, issued several times a week is a must read for any boomer or just anyone who loves the game. Bob Brill is an expert and knows how to relay those tiny little details to make a good story. We wish to welcome our sponsor; Huggins and Scott Auctions, one of the premier sports trading card and memorabilia auctions house in the U-S.
TRIVIA QUESTION: While the Niekro brothers hold the record for the most wins by pitching brothers in the major leagues with 539 wins, which MLB Niekro hit the most home runs in his big league career? ANSWER TO TRIVIA QUESTION IN THE PREVIOUS COLUMN: In 1963 and 1964 the Red Sox Bill Monboquette led the league in one specific, and dubious category. Both years he gave up 258 hits to opposing batters. The first year he threw 266 innings followed by 234. In 1963 he was 20-10 while the following season he finished 13-14. The 1967 season was a real turnaround for the Chicago Cubs, transforming from 59-103 and a tenth place finish in the National League in 1966, to being right in the thick of things in 1967, before finishing third at 87-74, 14 games back of the Cardinals. The key game sending the Cubs toward destruction in 1967, was the battle of knuckle-balling brothers; Joe and Phil Niekro. The Cubs went into a July 4th holiday double header in Atlanta, atop the NL and tied with the St. Louis Cardinals at 46-29. They had won seven in a row and 14 of 15 and were flying high. The previous night they belted the Braves 12-6. The Braves were 6.5 games back in fourth place. The first game of the twin bill would feature future Hall of Fame pitcher, Phil Niekro of the Braves against his brother Joe of the Cubs. Each team featured some of the greatest sluggers of all time. The Cubs had Ernie Banks, Ron Santo and Billy Williams, while Atlanta sported Hank Aaron, Mack Jones, Fellipe Alou and Rico Carty. 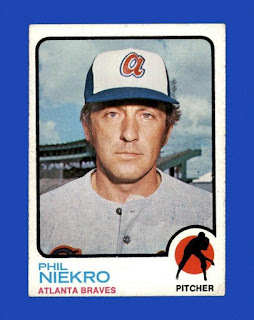 Phil Niekro set the Cubs down in order in the first but Joe suffered the hard luck fate of the brother duo in the bottom half of the inning. Alou led off with a double and went to third when a ground ball by Mack Jones was mishandled by shortstop Paul Popovich and with the first of his two errors, Popovich allowed Jones to take second. Following an intentional walk to Aaron, Carty singled home two runs, giving the Braves the lead. The Cubs scored solo runs in the second and third but with the scored tied at two in the bottom of the third, the roof caved in on Joe. Jones belted the first of his two homers on the day (no. 9 on the season) and two outs later Carty also hit his ninth. That was enough for manager Leo Durocher. He let Niekro finish the inning but that was it. The Braves would roll on to win it 8-3 with Phil Niekro going the distance, pitching a 4-hitter and striking out seven Cubbies. It would be a game which the Cubs would like to forget. They lost the second game of the double header as well, 4-2. Chicago would begin the July Slide, losing seven of the their next eight and falling four games back of first. They would go on another winning streak, picking up nine wins in 11 games, but the damage had been done. In August another seven game losing streak sealed the deal. They tried to stay in contention and actually did spend two more days in first. However, on August 5th they lost again to Phil Niekro, 2-1 with ace Fergie Jenkins taking the loss. It dumped the second place Cubs 8 games back of the Cardinals. When the season came to a close, they ended up in third place, 14 games out of first. 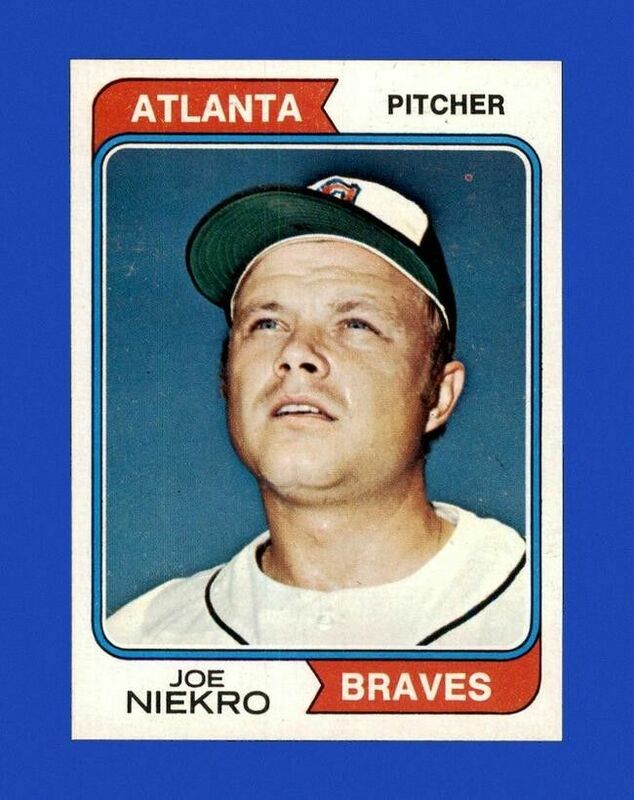 In the 1967 season Joe Niekro went 2-3 against the Braves, Phil was 2-0 against the Cubs, including his win over brother Joe on July 4th. "Tales of My Baseball Youth - a child of the sixties"
Use PayPal to brillpro@prodigy.net or contact us at the same email for other payment. Thank you to those of you who purchased my book after reading this column. It has been appreciated. Please share this blog with your friends and colleagues and leave a comment at the bottom of the blog if you have one. Thank YOU VERY MUCH!! Please pick up a copy of my book "Tales of My Baseball Youth; A Child of the 60's" at www.bobbrillbooks.com, or on Amazon. Welcome to this weekly column. Baseball in the 1960s was a wonderful time. It was really the last vestige of what baseball was in the 20th century. In 1969 it all changed and some would say not for the better. I will let you be the judge. Brill Productions. Picture Window theme. Powered by Blogger.